Although organ meat is considered to be a somewhat second-grade type of meat in the Western world, it’s actually incredibly nutritious and has a number of amazing health benefits. The different types of organ meat contain lots of minerals and vitamins, to the point of sometimes being referred to as “superfoods”; despite that, many people still have prejudices towards consuming organ meat. Is there a reason for that? What are organ meats’ benefits? Should you limit your consumption of them? Are organ meats keto-friendly? Organ meats, also known as offal, are the organs of the animals that we raise, mostly for their (muscle) meat, milk and eggs. There are different types of organ meat; the most common types are liver, heart, kidneys, gizzards, tongue, tripe, and brain. Based on where you live, you’re likely to find at least some of them at butcher shops and sometimes in supermarkets, at the meat aisle. Although in the past they were considered an important part of the animal and were cherished for their properties, nowadays they have fallen out of favour. Which is a pity, because they have an amazing nutritional profile and can be an important part of a healthy diet. Some types of organ meat contain varying amounts of carbs, so you need to take that into consideration when planning your meals. Kidneys, gizzards, heart and tripe contain all less than 0.5 g net carbs per 100 g, so they’re very keto-friendly. Liver contains the highest amount of carbs, as it stores glycogen, and should be consumed in moderation when doing keto. A hundred grams of beef liver contain 3.9 g of carbs, so a serving of 200 g would come at almost 8 g net carbs. Not excessive, but you need to make place for it in your daily macros. 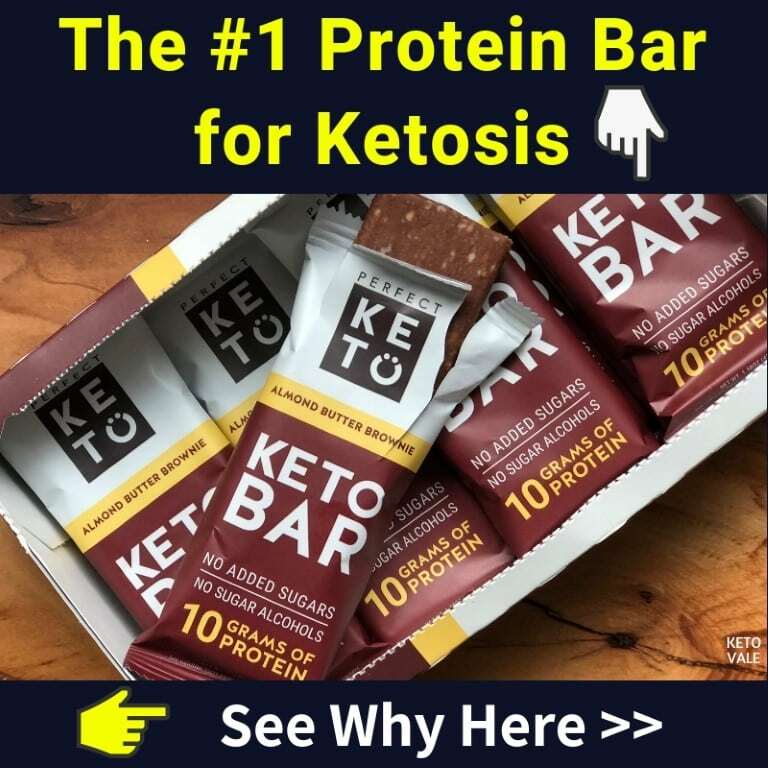 Tongue falls in the same category – beef tongue contains 3.7 g net carbs per 100 g.
Brain contains 1.1 g net carbs, so it’s completely compatible with the keto diet (and you’re unlikely to be eating huge quantities of brain in one sitting anyway). Different types of organ meat have different nutritional profiles. What they share in common is that they’re all good sources of protein, and that they’re very nutritional because of their high content of vitamins and minerals. Moreover, although they are high in cholesterol, they do not have a significant effect on cholesterol in the blood, which is a link that has been disproven a while ago. Most of the cholesterol that is in your blood is produced by your liver and does not come from the food you eat. Let’s now see what the types of organ meats are and what benefits they have. Liver, which is one of the most popular types of organ meat, and the most readily available one, is an outstanding source of vitamin B12, vitamin A, and copper, as well as of riboflavin (B2), folate (B9), iron and choline, among others. Because of its extremely rich nutritional profile, it’s very beneficial for your vision, immune system, the function of your heart, kidneys and brain, cell growth and development, the proper functioning of your enzymes, and more. As you can see, liver truly deserves being called “nature’s multivitamin”. In addition to beef liver, you can easily veal, pork and chicken liver should be easy to find, and sometimes lamb liver, too. Heart is also an excellent source of protein, as well as of all the vitamins from the B group (except for folate), and especially of vitamin B12. It is also high in coenzyme Q10, which is important for the function of the immune system, improves your energy levels, and is an outstanding antioxidant. Heart also contains more elastin and collagen than muscle meat. A 100 g serving of beef heart contains 112 calories, 17.7 g protein, 3.9 g fat and 0.1 g net carbs. Chicken gizzards are usually readily available in butcheries and sometimes in supermarkets. The gizzard is an organ that is used for grinding food due to the fact that chicken don’t have teeth. 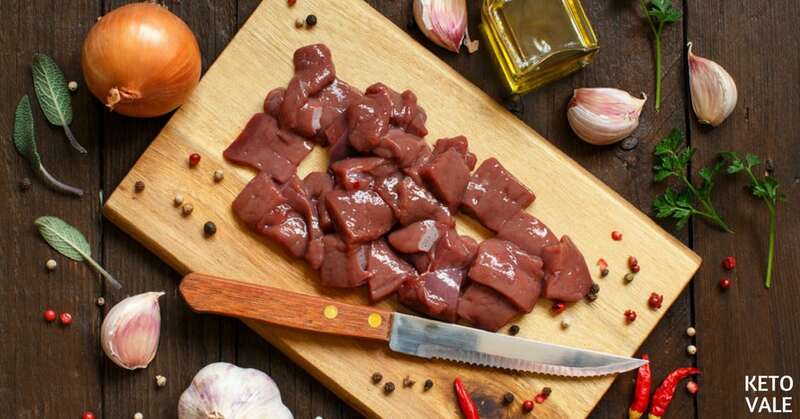 Gizzards are a very good source of selenium, iron, zinc, and vitamin B12. The niacin (B3) contained in gizzards is particularly beneficial for the health of your skin & hair, as well as for the proper functioning of your immune system. A 100 g serving of gizzards contains 94 calories, 17.7 g protein, 2.1 g fat and 0 g net carbs. Kidneys are an excellent source of riboflavin (B2) – a water-soluble vitamin (that is readily flushed out of your system, which is why you need to consume it daily), important for properly metabolizing carbs, proteins and fats for the energy needs of your body, as well as for your overall physical development and health. Additionally, they are a great source of vitamin B12, niacin, selenium, phosphorus and iron. A 100 g serving of beef kidneys contains 103 calories, 17.4 g protein, 3.1 g fat, and 0.3 g net carbs. Beef and pork kidneys should be relatively easy to find. Beef tongue is considered a delicacy in some parts of the world, and is somewhat more similar to muscle meat compared to other types of organ meat (such as liver & kidneys, for example), while also being high in fat. It is very rich in the B-vitamins, such as riboflavin (B2), niacin (B3), B12 and B6. Additionally, it contains high amounts of iron and zinc. Zinc is very important for hormonal function & immunity, and also has a pronounced anti-inflammatory effect. A 100 g serving of beef tongue contains 224 calories, 14.9 g protein, 16.1 g fat and 3.7 g net carbs. Tripe is less nutrient-dense than other types of organ meat, but is nevertheless a very good source of vitamin B12, zinc and selenium. Selenium is a potent antioxidant, which is extremely beneficial for the proper functioning of your immune system. Moreover, it helps regulate thyroid function, so if you have problems with your thyroid, organ meats (and tripe) can be an excellent addition to your diet. A 100 g serving of beef tripe contains 85 calories, 12.1 g protein, 3.7 g fat, and 0 g net carbs. Brain is nowadays rather difficult to find in the States, but beef and pork brain is still commonly consumed in many parts of the world. It is rich in vitamin C, the different B-vitamins, as well as in phosphorus, selenium and copper. A 100 g of pork brain contains 127 calories, 10.3 g protein, 9.2 g fat, and 0 g net carbs; beef brain is quite similar, with a highly higher carb content – 1.1 g per 100 g.
It’s cheap. Many people don’t like organ meat and feel squeamish about it. That’s excellent news for those of us who enjoy it, as it’s much cheaper than regular meat, despite its excellent nutritional characteristics. There’s no reason to not include some organ meat to your diet, for the sake of both your health and your budget. By eating the whole animal, you help reduce waste. It’s not a secret that the Western world wastes a monstrous amount of food each day. By consuming the lesser-desired cuts of meat (which can only be sold & consumed very fresh, unless they’re used for liver pâtés and the like), you‘re saving some incredibly nutritious cuts from going to waste. Chicken liver, gizzards or hearts are excellent cooked in butter and onion. For an easy introduction to offal, you can start with beef heart – it’s a muscle and feels quite similar to muscle meat. Tripe, although it might look unappealing, is quite neutral in taste. Many cultures use it in soups, the most famous example being the Vietnamese Pho soup. If you have a hard time eating organ meat but would still like to use it because of its numerous benefits, you can add some liver or kidneys to ground beef. Liver contains a very high amount of vitamin A, which is fat-soluble and excessive amounts of it cannot be easily flushed from your body. That’s why liver should be consumed in moderate quantities, especially by pregnant women. To avoid consuming excessive vitamin A, stick to eating liver once a week. Other types of organ meat can be consumed more frequently, and you could also alternate between the different types. Organ meats, similarly to fish and seafood, spoil very quickly, so you should cook them on the same day of purchasing them or on the next day. If you notice a change in colour, a foul smell, or any kind of mold, discard it. Additionally, poultry organ meat needs to be cooked at a high temperature (reaching an internal temperature of 165F is advised) to minimize the risk of food-borne disease, such as salmonella, which is typical for poultry. Does organ meat store toxins? In short, no. Some people believe that consuming organs should be avoided, as they filter and process toxins. While some organs do have a filtering function (the liver and the kidneys, for example) they do not actually store the toxins. As far as toxins are concerned, they’re as safe as regular meat. Brains should be consumed with caution, though, as they could transmit prion diseases. The risk is tiny, but unfortunately it still exists. If you’d like to try brain, make sure to buy it from a good source. If you would like to get the best possible quality of organ meat, we’d advise you to find a local farmer or to buy organic. This is not a must, though, and conventional organ meat will be extremely beneficial to your health. If you’d like to consume organ meat from younger animals, you can try finding veal offal instead of beef. Organ meats are an extremely good source of a multitude of minerals & vitamins, which are essential for your health and the proper functioning of your body. Instead of buying expensive multivitamins, try simply adding more organ meat to your diet – the benefits will be numerous. Most types of offal are very keto-friendly, containing almost no carbs (or none at all). Others are a bit higher in carbs, such as liver and tongue, so they should be consumed in moderation. Your best bet for liver is to consume it once a week (due to its high vitamin A content), so you could definitely make place for it in your macros. Do you have tips & recipes for cooking organ meats? What are your favourite types of offal?